Notice that my friend with the Exige type 25 don't speak a word in English and at his arrival has been proposed by the MLOC to park with them, he only realized later that he was supposed to go bit more far in parking. 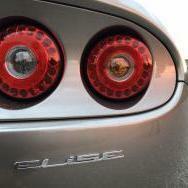 A exige type 25 (number 25) might be in our group, but as owner has few lotus not 100% sure yet e will take the exige. I can keep you informed if he confirms to come with it. yes, all fine for our 10 tickets for the group. Yes, all ok for the 10 tickets so for us all fine. But if possibility exist to switch these 10 tickets to a club order , it might help to make 10 tickets available for people in need. But I have no idea if easy to manage for bibs. hello! as there was no club deal when the booking went on, I booked 10 tickets for our group in Belgium (and I mentioned it in the comment at the moment I booked), and of course we have 10 cars confirmed. Does it help people with no ticket if you switch my order to a club club (www.bend.be) and so can you have 10 more ticket for people in need? Honnestly, i have a company making indoor car covers and sell quiet a few in UK to lotus owners every month, but never really felt very welcomed in the trader area, as any cover related messagee i post (and it is really not why i m here for in priority as i own 3 lotus since well befiore i got into the cover business..) gets deleted, so to pay to attend the show but not to be able even just to post on forum i m there...it is not exactly a very good way to attract traders i think. As i work in a dealership, the cost of our demo on track has been calculated in details, and in taking all into account (tyre, service, brake pads, petrol), A V6 cost around 4 euros / per Km in track use. Which brand is that? seems like different cut (and better fit actually) than the the specialised, or it just puted more tight on the car and looks better because of that? the new "metalic" is much darker than Nightfall. it is actualy very dark, almost black when no direct light on. Lotus F1 Team to be renamed Renault F1 Team next year. This year the marketing events links between Lotus cars and the F1 team has been very reduced compare to last year, so i wont be surprised at all if the deal end.